Whatever the reason, here's all you need about cancelling your cover. 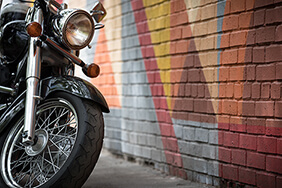 There could be a number of reasons why you want or need to cancel your motorcycle insurance policy. 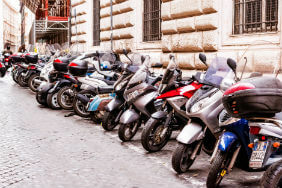 You may have decided to sell your bike and buy a car or use an alternative means of transport before your existing policy is up for renewal. Or your ride may have been stolen or written off, and you are not yet ready to buy a replacement. Whatever the reason, how you go about cancelling your cover, and whether you will lose out financially as a result, depends largely on when you plan to do it and what your insurer’s terms and conditions are. 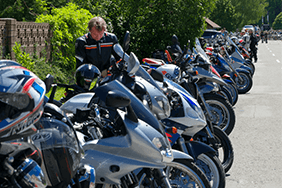 Is cancelling your motorbike policy a good idea? 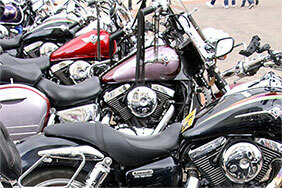 If you are selling your bike and buying a new model, you may not need to cancel. Most insurers will allow you to update your policy to cover the new model, although your premiums for the remaining few months the policy is in effect may change to reflect the new machine’s risk rating. It is very unlikely that your provider will be unwilling to cover your new bike. You may have to pay a charge for making an amendment to a policy which is currently in effect. This varies from company to company, but the details of the fee should be set out in your policy booklet. In most cases, however, the cost of amending a policy is less than cancellation. 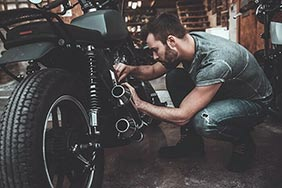 If your insurer raises its premiums by a large amount for your new motorcycle, it could be worth comparing quotes from other insurers: it is possible that you could save money by cancelling your policy and moving to a new provider, even once the cancellation charge is taken into account. 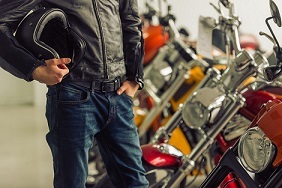 If you are thinking of cancelling your policy over the winter months because your bike is in storage, bear in mind that this means you will have to foot the bill if it is stolen. Is that a risk you are willing to take? You move home or change where the bike is kept overnight. UK insurance rules state that consumers have a 14-day “cooling off” period when they purchase most kinds of cover. This means that, if you want to end a policy within two weeks of receiving your documentation, you should receive a more or less full refund of your premiums. But if you cancel within the cooling-off period, you may have to pay an administration fee (typically less than a full cancellation charge) as well as the cost of however many days you were covered for. So if your policy has not yet come into effect when you cancel, you should only have to pay the administration charge. You won’t be able to cancel in this way if you have made any claims within the cooling-off period. Once the 14-day cooling-off period has passed, the financial penalties for cancelling are likely to be greater. You will be charged a cancellation fee, and the amount you are refunded for the unused premiums could be limited. For example, if you cancel with only a short period on your insurance left to run, you may be entitled to no refund. In a case such as this, it may not be worth cancelling the policy at all, as doing so will incur a cancellation charge. However, if you no longer own the bike for any reason e.g. 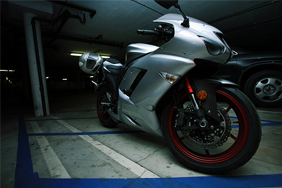 if you sell it, the law requires that you cancel your bike insurance. Don’t always expect a full pro-rata refund even if you cancel much earlier in the policy term. Check your insurer’s policy booklet to see what their fees are before you go ahead. It may be that you simply want to stop your policy being automatically renewed when the year is up: perhaps you have found cheaper cover elsewhere. Most providers will now extend your cover for a further year (possibly at a higher rate) unless you expressly tell them not to. If you don’t want to renew, it is not enough simply to cancel your direct debit: you have to tell your insurer, either by phone or in writing. But you won’t face any fees for this, provided you cancel before the new policy comes into effect. If you end your policy before the year is up, you will miss out on the no-claims bonus for that period. 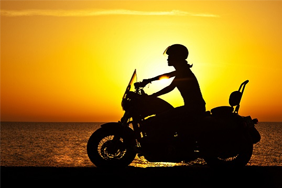 If you have breakdown cover or other protection included with your motorcycle policy, that will also come to an end — and you may not get any refund for this. If you do want to go ahead and cancel, you need to contact your insurer to tell them, and return your Certificate of Motor Insurance. You may also need to sign and return a declaration that you want the cancellation to go ahead. In most cases, the cancellation will only take effect once the signed declaration has been received by your insurer. You will then get a letter to confirm the policy has been cancelled. As you can see, the potential penalties for cancelling early can be quite significant. If you think they are unfairly high — or if you have to cancel because of what you think is a mistake on the insurer’s part — you can complain to the company directly. Ask for an address for customer services, and write giving clear details of your case — such as what happened, when, and why you think you have bee unfairly charged. Even if fees are laid out in the policy booklet, you may be able to challenge them. Keep a record anyone you speak to and of the letters you send (and use Special Delivery so you have proof they have been received). If the company does not deal with your complaint to your satisfaction, you can take your case at no cost to the Financial Ombudsman Service.